Emve designs and manufactures intake for bulk, box and jumbobags. FIlling into boxes or storagebuffers comes in many versions. Flow weighers and samplers can also be integrated. auto flow control, stairs and platforms, special designed sides, extended version etc. EMVE soilextractors with spring coils SE CC, rubber stars SE S or net belt SE B can be connected. Also EMVE different box or sackfillers, as well as storeloaders can be adapted. 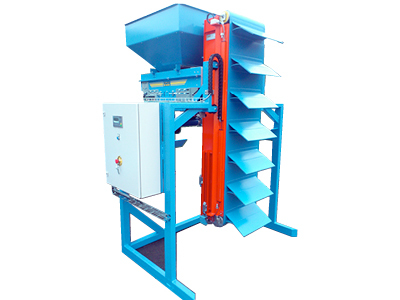 The Receiving Hopper is built for side and/or backtipping. 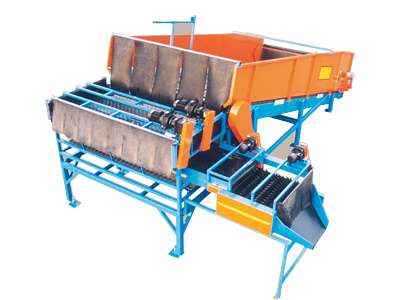 RH 2000/2700 are used for fast unloading by backtipping. Mod RH 12 S is used for sidetipping. 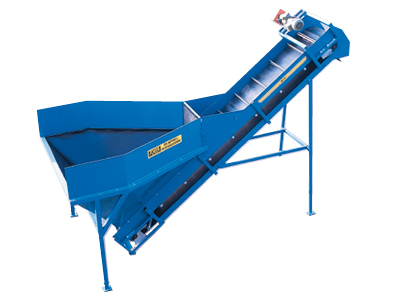 The Receiving Hopper can be equipped with soilextractors and automatic boxfillers. It can also be connected to a bulk storage intake line. 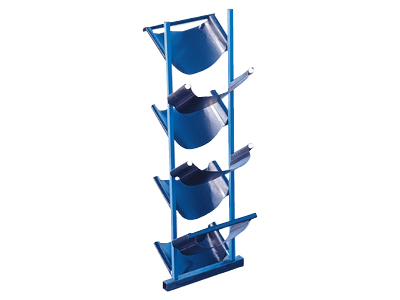 RH 12K and RH 12S receiving hoppers are primarily designed for use with side-tipping trucks and trailers, but may also be used with rear-tipping vehicles. The RH 12K starts flat and then slopes. The flat section can be matched to individual requirements. The RH 12S consists of a number of sloping sections joined to one another. The number of sections can be adapted to meet individual requirements. 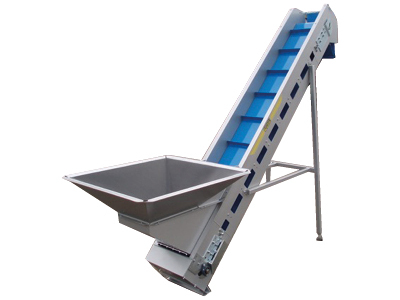 The RH 5K is a shorter hopper designed for applications where capacity requirements are smaller. Intake is normally from an overhead BT box turner mounted on a traveller to ensure optimum filling. Where only rear-tipping vehicles are to be used, please see separate data sheet for RH 2000 and RH 2700 hoppers. 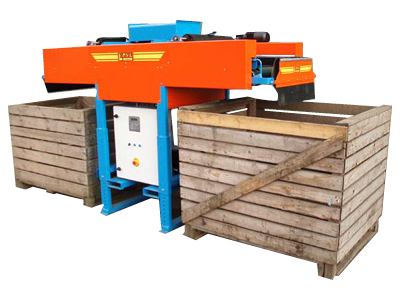 Hydraulic box turners are available in three different versions, BT 600, BT 800 and BT 2000 for emptying 600, 800 and 2 000 kg boxes respectively. Boxes can be inserted from manual forklifts. Boxes are emptied by turning them through approx. 135° round an axis 1,2 m above floor level. 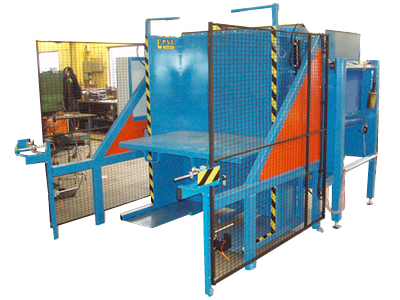 Box turners are fitted with a safety device to eliminate the risk of trapping. When the safety barrier is raised the power supply is cut off. 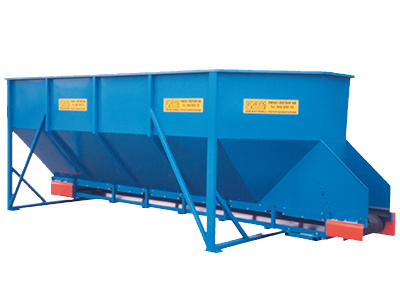 The Box Turner can be modified for emptying large sacks instead of boxes. The BT 2000 is available in versions to individual specifications depending on box dimensions. Topshelf to handle woddenboxes, easy to dismantle for Jumbobags. 2 shafts holding the pallet under Jumbobags, and 2 pc. automatic hooks to hold the sack. Jubobags standing on pallet is fed in at ground level. Extra turnangel to secure emptying. Feeding via parallel double Boxturners. The Boxturner empty boxes in the upper location and then bring the empty box back to the bottom floor. This function minimizes the changeover-time when changing boxes. The lowering of the box by the lift table is done when boxes are empty, that way, the wear of the lifting table is minimized. Can as option also be equipped for the emptying of Big Bags. Big bags are fed on a pallet at floor level. 2 pc. 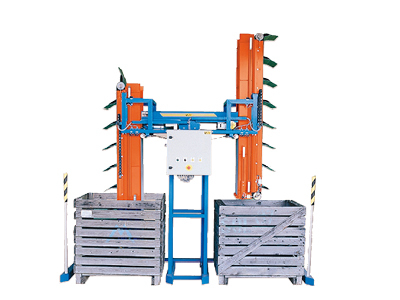 forks hold the pallet in place, while automatic hooks hold the bag Optional tilt angle through 2 short hydraulic cylinders ensures optimum discharge. 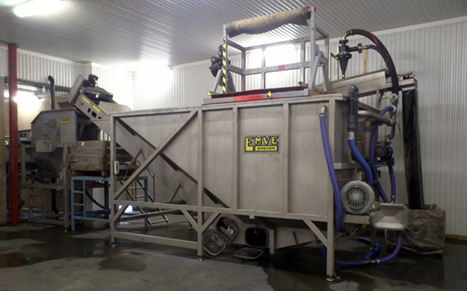 The hopper is designed to receive products when they are emptied out for further processing. The low intake height and the shock-absorbent rubber lining gives an exremly careful handling. The hopper is mounted on a variable speed elevator, making it simple to adjust the rate of flow to the receiving process. Output capacity can also be adjusted manually. The hopper is intended for intake of products before they are processed further. It is available in a wide range of different sizes, and has a lining of shock-absorbent rubber to give careful handle. 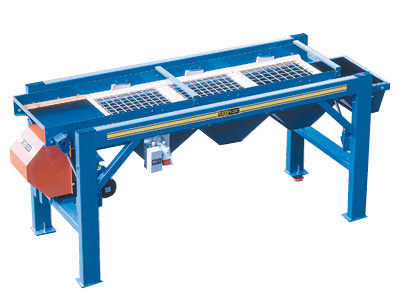 The hopper is mounted on a variable speed conveyor, making it simple to adjust the rate of flow to the capacity of the receiving system. Output is also mechanically adjustable. For gentle feed of carrots, potatoes and other vegetables. 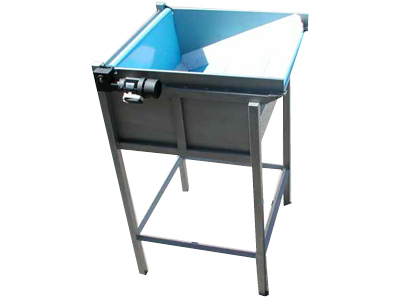 EMVE Soakingtank is manufactured in several sizes depending on the type of product and the required capacity. Among other things, you can add air circulation by fan. It gives stirring in the product and some pre-washing. Water separator/treatment Akva-Sep, can also be mounted. The box turner can feed the tank from several directions to best fit customers demand. 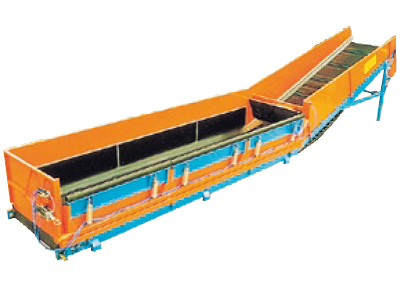 Out-feed conveyor with fixed or adjustable speed, as well as custom made length. Pump in the bottom to control the water level and to pump out the mud. Propeller to stir the bottom to minimize sedimentation. For potatoes, carrots, onions and more. Steel hopper with a volume up 60 ton. Steel hopper can be produced in mild or stainless steel. Inside with fallbreaker and other options depending on product. Adjustable shutters as well as adjustable driven out-feed rollers, to secure even feed at all conditions. Volume app: 300 kilo. Automatic levelcontrol of conveyor for lowest possible drop. Designed for feeding packaging lines and optical graders, to optimize an even flow in the process line. Standard length 1500 mm. Width 800 and 1000 mm. Other dimensions on request. Produced both in mild and stainless steel. 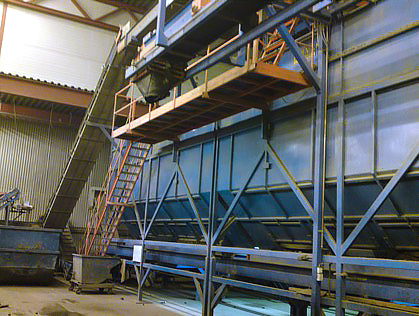 The elevator features a robust design in square steel profiles, and has a rubber conveyor belt with T-50 integral rubber carriers at distances of 300 mm centre-to-centre. The conveyor has an endless vulcanized belt. All bearings are of ball bearing type, factory lubricated and fitted with dustproof seals. The bearing rollers are made of equally robust tubular steel, with ends journalled in ball bearings and fitted with dustproof seals. All bearings are maintenance-free. The belt is fitted with a scraper that cleans the inside of the conveyor belt and the tensioning roller. The motor is chain-driven, to simplify speed adjustment. 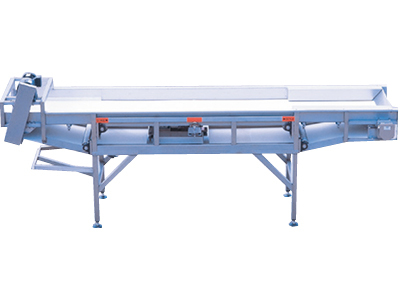 Conveyors and elevators are available in various different lengths and widths. For sensitive ﬁlling of large sacks with potatoes etc. 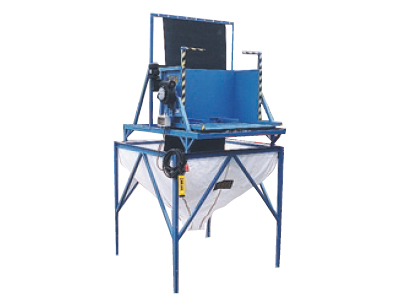 umbo sack ﬁllers are designed for ﬁlling 800-1 000 kg sacks or boxes with potatoes and other similar products. The Zig-Zag version with its gentle fall breaker is also suitable for ﬁl-ling boxes. The fall breaker adjusts upwards automatically, to ensure minimum fall height. The standard version has no fall breaker, but has a wider elevator to give higher capacity. It is designed for ﬁlling jumbo sacks only. 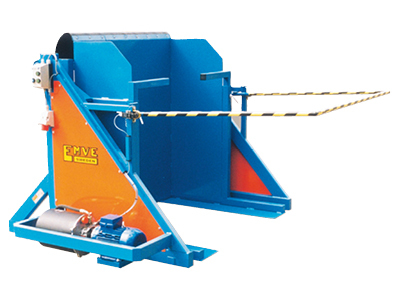 Sack ﬁllers are ﬁtted with wheels, to make them easy to reposition as required. Box filler for gentle filling of big boxes in order to minimize downtime for example: high capacity of the grader. Equipped with a shock absorbing hopper containing about 150 kg. 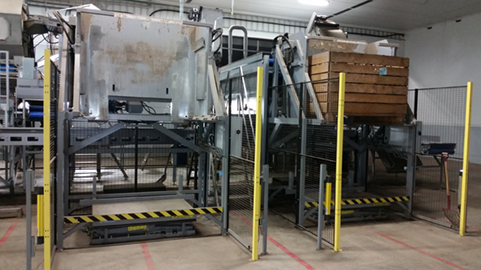 Horizontal discharge conveyor and vertical lift provides very gentle box filling on a restricted area. BF C box fillers are available in a number of different versions with various types of fall breakers. 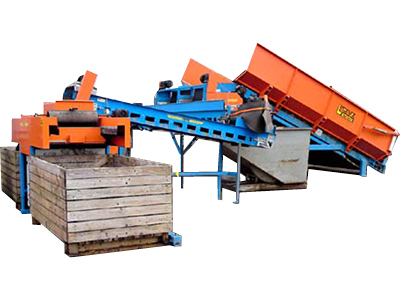 All models have automatically reversing conveyors with fall breakers at both ends. A sensor halts filling if the box is not replaced in time. Model BF CG is fitted with double pneumatically controlled fall breakers. Model BF CZ has double zig-zag fall breakers. Model BF CE is fitted with vertical drop elevators to ensure the most gentle filling possible, even with carrots. The Boxfiller BF CK is designed primary for boxes wider than 1200 mm. One single conveyor, always with horizontal infed, goes down in to the bottom of the box before filling starts. This ensures extremly low drop and gentle handling. As the conveyor rises and slowly slides over the top of the box, the filling becomes optimal and no manual levelling of the product is needed. 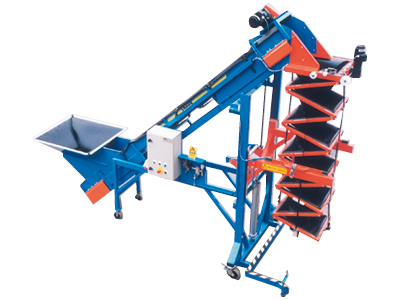 The fall breaker is designed for mounting at the junction between conveyor and box, to break the fall of potatoes, carrots or other vegetables so that they are not damaged. The fall breaker is directed into the box by hand. Fall is broken by a titanium screen fitted on a steel arch, journalled in ball bearings at the pivotal point. When a box is approximately half full, the fall breaker lifts automatically so that the box can be filled completely. The lifting movement is continuously adjustable. 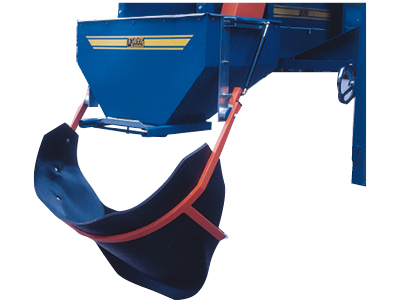 The fall breaker is designed for insertion in various types of hopper. It consists of a number of fixed sections that ensure that products fill the hopper gently, thus drastically reducing damage to them. Flow weighers are used for continuous weighing of potatoes and similar products, and for summary of weights recorded. The flow weigher features a flat, vulcanized endless belt in plastic or rubber and a special conveyor designed for optimum precision. 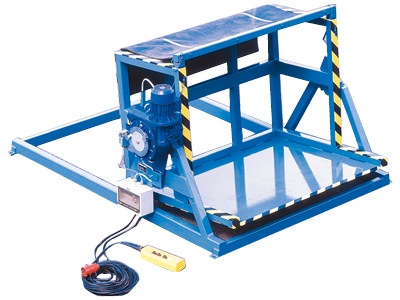 The weighing device is protected against overloads, and has its load cell positioned in the conveyor. A pulse transducer is mounted on the tensioning roller to measure exact speed in order to eliminate incorrect readings due to belt sliding. The central control unit with its digital display is located in a special enclosure. 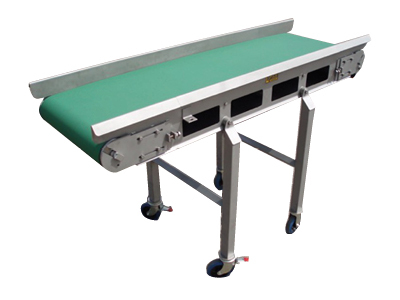 Conveyors are available in various dimensions to meet differing capacity requirements. The S C sampler is designed for taking random samples from large batches of potatoes, root vegetables etc, and can be mounted directly on an receiving hopper or similar. 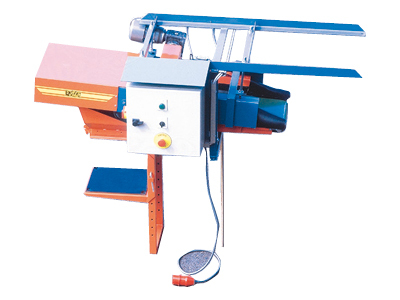 The machine consists of a conveyor on a traveller. The conveyor travels forward automatically, to retrieve a predefined product volume for sampling. Sampling frequency and volume are adjustable. 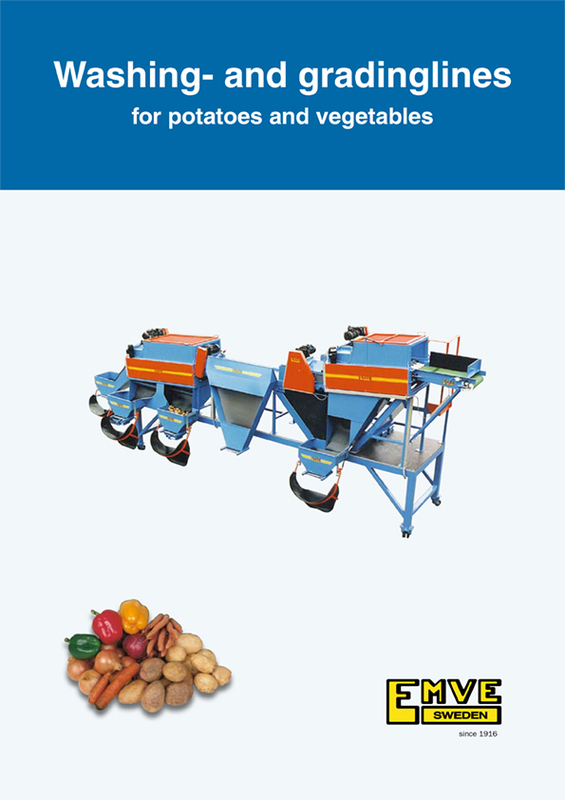 The sample grader is designed for determining distribution of sizes in batches of potatoes, carrots and other similar products. It has three vibrating riddles that are easy to replace. Grading is into four sizes, with the products passing through the riddles and then out of the grader. Vibration rate is set with the help of an electric motor with a variator.